Rheumatoid arthritis is not your grandma’s arthritis. Hers was probably osteoarthritis (OA), the type that breaks down the joint cartilage and the joint itself over time. It’s best known as the “wear-and-tear” arthritis. OA’s onset is usually during middle-age, but it’s associated more generally with the gray-haired set. It causes pain, swelling, and sometimes, loss of function in the affected joint. Rheumatoid arthritis (RA), on the other hand, is a chronic, inflammatory autoimmune disease in which the body’s immune system mistakes its own tissues for foreign invaders, like viruses or bacteria. It responds the way it’s supposed to: it attacks and tries to destroy them. RA mainly attacks the synovial capsule that protects the joints, but it can also affect the cartilage, ligaments, and other soft tissues, like the heart, the lungs, the eyes and even the veins. Anyone, of any age—even small children—can get RA. It causes joint pain, swelling, stiffness, and disability. There is no cure. 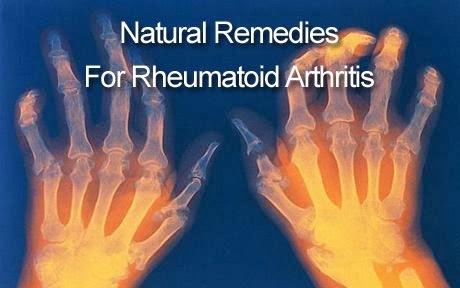 If you are seeking medical remedies for RA there are the powerful medications prescribed by rheumatologists. These include non-steroidal-anti-inflammatory drugs (NSAIDs), disease modifying anti-rheumatic drugs (DMARDS), and the new biologic DMARDs. None of these drugs can cure RA. Instead, they treat inflammation and pain, and slow the progress of the disease. · Acupuncture: This ancient Chinese healing practice involves the insertion of hair-thin needles into the skin to correct and redirect the flow of “chi,” or life force, in the body. Some people have reported pain relief, along with an overall sense of well-being from acupuncture. · Tai Chi: This is a practice in Chinese traditional medicine that uses slow, gentle movements along with controlled breathing and meditation to improve physical function, balance and concentration, and reduce and relieve stress. · Mindfulness Meditation: This is a simple form of meditation that keeps the mind focused in the “present moment,” gently pushing away busy thoughts and distractions and, with practice, reducing and relieving stress. Mindfulness meditation can also gently distract the mind from pain and the distress it causes, allowing the practitioner to relax and rest. · Detox Foot Pads: The detox foot pads can help pull the toxins out of your body, allowing your body to focus its attention on healing. · Fish oil is rich in omega-3 fatty acids, substances that the body needs to perform a number of vital functions. Clinical trials have shown that fish oil may have an anti-inflammatory affect, helping to relieve tender joints and morning stiffness. However, fish oil may also make blood clot more slowly, so people who take anticoagulant medications should talk with their doctor before taking fish oil supplements. · Gamma-linolenic acid (GLA) is an omega-6 fatty acid that studies have shown may reduce inflammation, relieving joint pain and stiffness. It’s found in some plant seeds, including evening primrose, borage and black currant. · Ginger and turmeric have been shown in animal studies to have some properties which may help with the inflammation and pain RA causes. · Green tea also has substances in it that may help with RA, but studies haven’t been done on people haven’t been done. Other natural treatments for RA include the use of warm and cold packs on the joints, compression gloves on the hands, and splints to protect and support flared, painful joints. Eating a healthy diet of fresh vegetables and fruit, lean protein and dairy, and whole grain breads and cereals can also be helpful in maintaining a healthy weight. Some foods have been shown to have an anti-inflammatory effect, as well. Information on other health issues is available here. Note: Always check with your doctor before taking any natural supplement. They can interact or interfere with other medications you may be taking. Leslie Vandever is a professional journalist and freelance writer. Under the pen-name “Wren,” she also writes a blog about living well with rheumatoid arthritis called RheumaBlog (www.rheumablog.wordpress.com). In her spare time, Vandever enjoys cooking, reading and working on the Great American Novel.